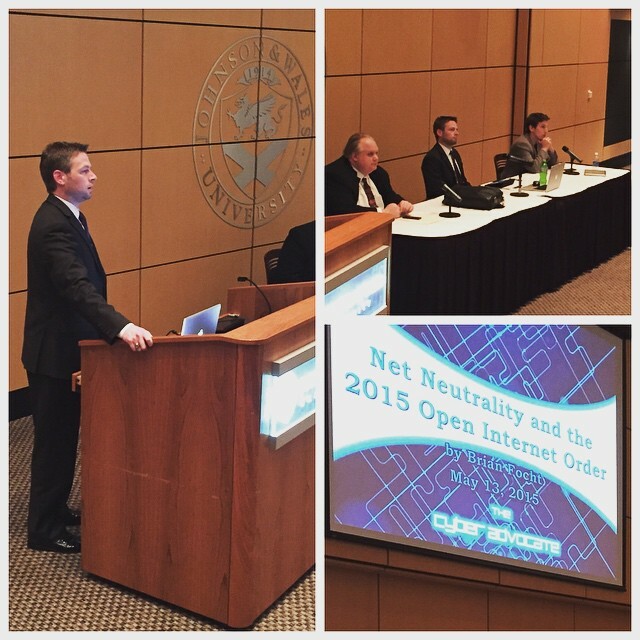 Yesterday, I participated in a debate sponsored by Johnson & Wales University and the Bastiat Society, a libertarian organization, regarding Net Neutrality. Specifically, I argued in support of the recently adopted 2015 Open Internet Order. I don’t envy opponents of Net Neutrality. For the most part, opponents seem to be either direct supporters of the Internet Service Providers, or those who have a more general objection to government regulation. My opponent, Brent Skorup of the Mercatus Center at George Mason University, made a strong presentation aligned with the latter, indicating that he doesn’t trust the FCC to ensure protection of the internet. As I said in the debate, I don’t envy those who have to argue against the rule. Wisely, the FCC kept the application narrow, and specifically countered some of the strongest arguments that those opposing reclassification of ISPs as common carriers generally make. The reason they’re strong arguments is that they’re good points. The internet will not be the same without net neutrality. Following the D.C. Circuit Court of Appeals decision in Verizon v. FCC, 740 F.3d 623 (D.C. Cir. 2014), striking down the 2010 Open Internet Order, the FCC sought comment on new proposed rules for protecting the open and innovative nature of the internet. Among the questions to be considered was whether Broadband Internet Service Providers should be classified as “telecommunication services,” and thus being subject to “common carrier” provisions. The FCC ultimately decided to reclassify both wireless and wire line broadband, and in the Order placed restrictions on the influence those providers could exercise over the lawful use of internet services by their users. They got it right. Rules have to be clear if they’re going to be followed, particularly when they deal with technology and the internet. The order contains clear, bright line rules for ISPs to follow, that will be very difficult to misinterpret. The order handles these rules in a total of about 4 pages. However, to provide added clarity, each rule is then explained down to the letter, using examples and suggested action to provide additional guidance. 2015 Open Internet Order. 2015 Open Internet Order at ¶¶ 14-24. As I mentioned, the order does allow certain practices if they’re a part of reasonable network management. So what is that? We know what’s prohibited, but who does the order apply to? The order does not currently extend to “specialized services” 2015 Open Internet Order at ¶ 209. The defining characteristic of specialized services is that they don’t offer access to the whole internet, and usually involve only a single internet application (e.g. video). However, the FCC will monitor to ensure specialized services are not used to circumvent the other rules. The rules would be both ineffective and unworkable if they interfered with the way ISPs managed their network. In order to meet the goals set out in the request for comments, the order needed to be narrowly tailored to achieve its purpose without interfering in the “virtuous cycle of innovation” that makes the internet so vibrant. The rules are narrowly tailored, designed to secure an open internet without preventing the ISPs from performing necessary functions to support their networks. ISPs can’t block or throttle legal content, unless it’s for reasonable network management. However, ISPs are given a pretty wide degree of latitude to determine what is reasonable. Moreover, by exempting specialized services from the Title II designation, the FCC has ensured that there will be no reduction in the innovation currently driving technologies like telemedicine and the Internet of Things – services that are not internet access services, but which will require dedicated bandwidth to function. 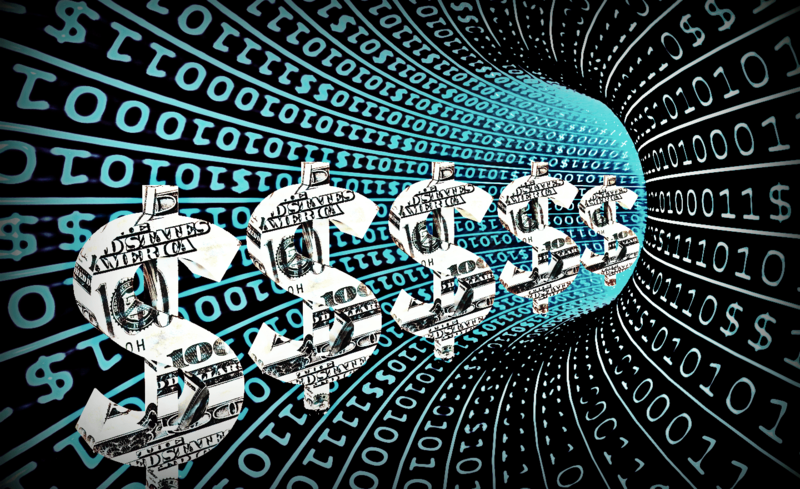 The FCC decided not to apply a large number of Title II regulations to the ISPs, using only the rules absolutely necessary to maintain the internet’s open nature. 2015 Open Internet Order at ¶ 5. Given the nature of wireless broadband communication (mobility, inconsistency, population density) wireless carriers are given a lot more leeway to manage their networks. For each prohibited activity, waivers are available under the rules. The only one that seems even remotely plausible is the waiver for prioritization. Under these rules, the widely cited example of Wikipedia receiving a zero-rating from African carriers (for free) would be allowed. Now we get to the real meat of the argument. Even as it struck down the FCC’s 2010 order, the DC Circuit Court of Appeals held that the FCC had provided more than adequate support for the position that the ISPs were in a position to be a direct threat to the open internet. 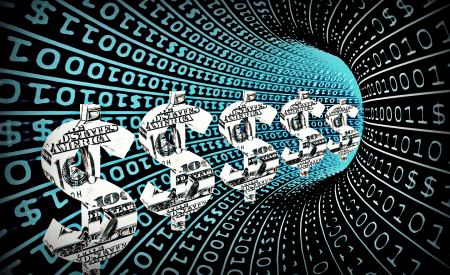 Internet openness spurs investment and development by edge providers, which leads to increased end-user demand for broadband access, which leads to increased investment in broadband network infrastructure and technologies, which in turn leads to further innovation and development by edge providers. Verizon, 740 F.3d at 634. 2015 Open Internet Order at ¶7. ISPs have incentive to disrupt that virtuous cycle. Through control of chokepoints, negotiations with backbone providers, and outright interference, can make it difficult for customers to access lawful content. All it takes is 2 seconds of video delay before viewership decreases significantly and the likelihood of the user returning nosedives. Plus, users themselves are poorly equipped to find out what the real cause of network congestion is, meaning ISPs’ customers, who already have little choice in their providers, are not in a position to make an educated choice about their internet service. Neflix actually purchased every possible route for its traffic to take to get to customers on Comcast’s network, but this still happened during negotiations. 2015 Open Internet Order at n. 504. Netflix also asserts that Comcast abused their market share to gain a competitive advantage in the negotiations. 2015 Open Internet Order at n. 128. Increased horizontal integration due to mergers has decreased consumer options for Broadband ISP. 2015 Open Internet Order at ¶ 98 Vertical integration has only increased incentives for ISPs to act in anticompetitive ways to promote their own or affiliated content. 2015 Open Internet Order at n. 122.